Angel Peace Arrangement is a gorgeous way to bring peace to their final farewell service. 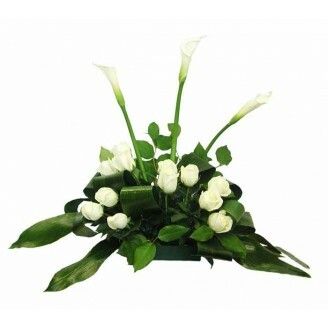 White calla lilies, white roses, and a variety of lush greens are perfectly arranged to adorn the table on entrance, offering the ambiance of grace and serenity. This is a table arrangement, not for cascade size.